Most any corner can become the perfect wardrobe! For those with limited or no closet space - don't despair. 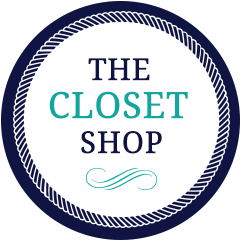 The Closet Shop can help design a stylish built-in wardrobe to meet all your needs. Whether you simply need additional space for hanging clothes, or a more complete area with shelving and drawers, our customized wardrobes fit the bill. There's no need to go through the aggravation of building a traditional closet when we can create a beautifully finished look within the corner of any room. Soon, you'll no longer be staring at all your clothes - they'll be neatly hung and shelved behind a set of attractive doors.